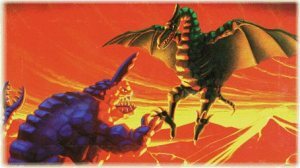 Not only the Rock Lords and Narlies live on Quartex, but also other rock lifeforms, such as the Rockasaurs. These are Dinosaurs that can transform into rocks. They are an other natural hazard on the Planet Quartex. 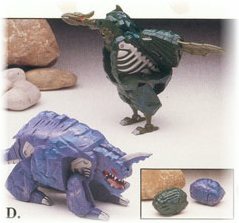 Only two Rockasaurs were produced, even if some others were shown in the movie "Battle of the Rock Lords".